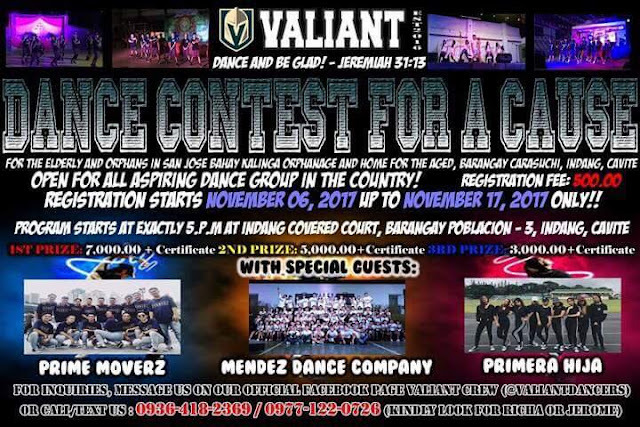 This coming November 27, 2017 at poblacion 3 covered court indang cavite. Program start at exactly 5:00 pm. Registration fee is 500 pesos only!